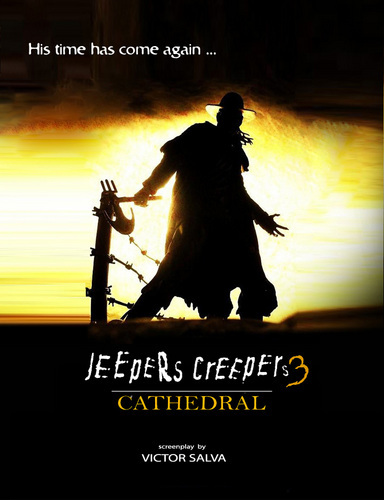 Jeepers Creepers 3. . HD Wallpaper and background images in the Horror films club tagged: jeepers creepers 3 cathedral sequels upcoming horror movies promos. This Horror films photo contains zonsondergang zonsopgang, zonsondergang, zonsopkomst, anime, grappig boek, manga, cartoon, and stripboek. There might also be teken, poster, tekst, bord, schoolbord, jager, and schutter. The last I knew, it'll be released sometime in 2013. I don't think an exact date is known yet.